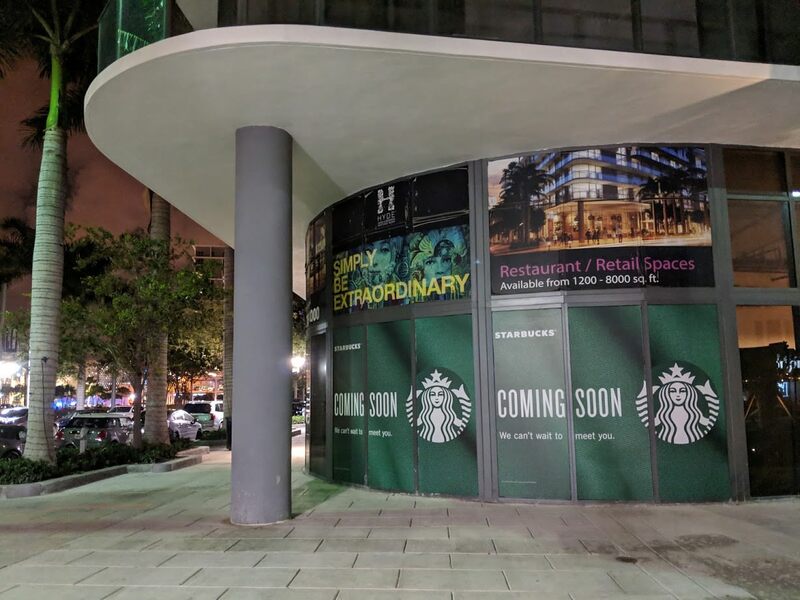 Midtown Miami will soon be getting its first standalone Starbucks Coffee location (there’s also a location inside Target). It will be located on the ground floor of the recently completed Hyde Hotel & Residences. Thousands of residences have already been completed in the neighborhood, and and thousands more are now under construction. Midtown Miami.. a beautiful place to live. But it could be ten times better. I see it doesn’t take much to impress you. I’m surprised it took this long for something so ubiquitous. One can be easily frustrated on how there’s been no serious talk from our County government for some form of rail other than brightline to service this area. E.G. metromover. It’s a no-brainer. Wrong there is one in Target. I was the first one to post, they edited that. Feel sorry for Pasion del Cielo Cafe…which is much better than Sturbucks, they will be out of business sooner or later. Midtown and Edgewater are booming.. more than capable to support multiple coffee shops. The PDC went out of business in South Beach suddenly. Sad, I really liked it. Thank Grant Stern for keeping Walmart out. Walmart bought the SW corner to build a monster store BUT Grant Stern continues to uncover illegal activity on the part of the City and Walmart… So Walmart has not built a store yet. Huge win for Midtown. Huge. Calm down Trump, it’s not that exciting. And you’re another Trump ball washer. They say Starbucks, no Ritz Carlton.